Flexible working and in particular, working from home has become increasingly widespread, and many companies now find their virtual private network (VPN) invaluable. These networks provide secure access to your server from anywhere with an internet connection. So if you need a little peace and quiet to meet your deadlines, or are working away from the office, you can work in exactly the same way. Fusion can help you find the right VPN for your team, then implement it and monitor it. So you can concentrate on running your business. Naturally, there are many ways to configure your remote access and Fusion has experience in every area. This includes setting up site-to-site VPN’s, end user VPN’s and even Microsoft implementation of Direct Access. 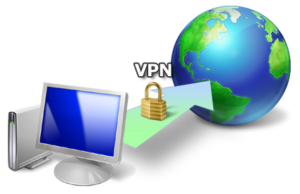 Direct Access in particular brings a different approach to VPN’s. Imagine if your users were using a VPN and didn’t even realise they were using one. In simple terms, Microsoft Direct Access gives you fast, seamless access to specific resources in the office from anywhere in the world, all through a standard internet connection.